Meet Me at the Lighthouse written by Mary Jayne Baker, publisher HarperImpulse, is available NOW in ebook format. 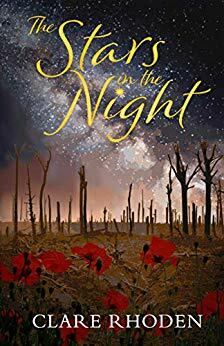 When you fall in love with a story in a book it seems to make your whole world glow that little bit brighter and this is just how I feel about this story by Mary Jayne Baker. Set in a little village on the Yorkshire coast a story to make your heart swell with love and pride for a couple that not only let love into their hearts but they gave up their spare time, cash and much more to turn a derelict building into an inspirational place to nurture music for all in the local community. Bobbie Hannigan and her twin sister have lived in the small coastal village all their life. During a night out when Bobbie catches the eye of the singer from the band playing at the local pub and then realising he is non other than Ross Mason, the first boy she ever kissed back in school. Ten years gone and Ross has matured very nicely and reminiscing over the past the pair decide to buy a lighthouse and bring it back to it’s former glory and more turning it into a place of creativity encouraging new music talent; a dream that Ross has held for a while. We follow the couple on their journey jumping through hoops with the restoration project. We also follow Bobbie and Ross’ personal journey of moving on from traumas and broken hearts in the past. The lighthouse proves to be a beacon of light of love, hope and inspiration. Escape to the Cotswolds written by Natalie Kleinman, publisher HQ digital is available NOW in ebook format. Can love blossom in the countryside? It had never been my ambition to become a writer. I didn’t actually decide at all. It decided for me. At a loose end and with far too much spare time I enrolled in a ten week council run course in creative writing. It could just as well have been painting, craftwork, French or dressmaking. Actually it never would have been dressmaking. After weeks of being told to unpick something at school I was turned off for life. But writing was the one I opted for and it grabbed from day one. Something that was intended as a hobby almost immediately became an obsession. Spare time has eluded me ever since. Your new book is set in the Cotswolds, why did you choose the Cotswolds? Warm honey-coloured buildings. Quaint villages and quintessentially English country market towns. A feeling of peace every time I visit the area. A wonderful romantic setting. That isn’t to say there isn’t plenty going on. And with access to major towns and cities such as Oxford and Bath, Cirencester and Stratford-upon-Avon, and too many castles to mention, there’s never a shortage of things to do. For me, though, it’s the countryside that generates such a pull. I’ve been visiting the Cotswolds for many years and I have to say it draws me back like a magnet. A Londoner all my life, if I could live in the country that’s where it would be. I love stories with animals in, I feel they bring charm and warmth to the storyline. Did you know from the start that a puppy would be included in the story? Not from the word go but fairly quickly. After all, my hero Adam is a vet so animals were bound to be part of the mix. But as a pet for Holly, no, it wasn’t until her encounter with Old Meg that I thought she might have a puppy of her own. Having in my time met many new litters with their wonderful rounded tummies, I didn’t even have to look for a name for Tubs. I could see her in my mind’s eye as soon as the thought occurred to me. She is just as real to me as any of my other characters. Do you have a work in process? If so, can you give us any brief clues? Not so much a work in progress as an outline for my next book and yes, there is a dog involved that has a critical role. It’s also set in the Cotswolds but this time in one of the many amazing historical (fictional) country houses that the area is dotted with. And there’s a bit of a mystery as well! There’s been some amazing books out in recent years, what has been one of your favourite books from the last couple of years? That’s always a difficult question, isn’t it? 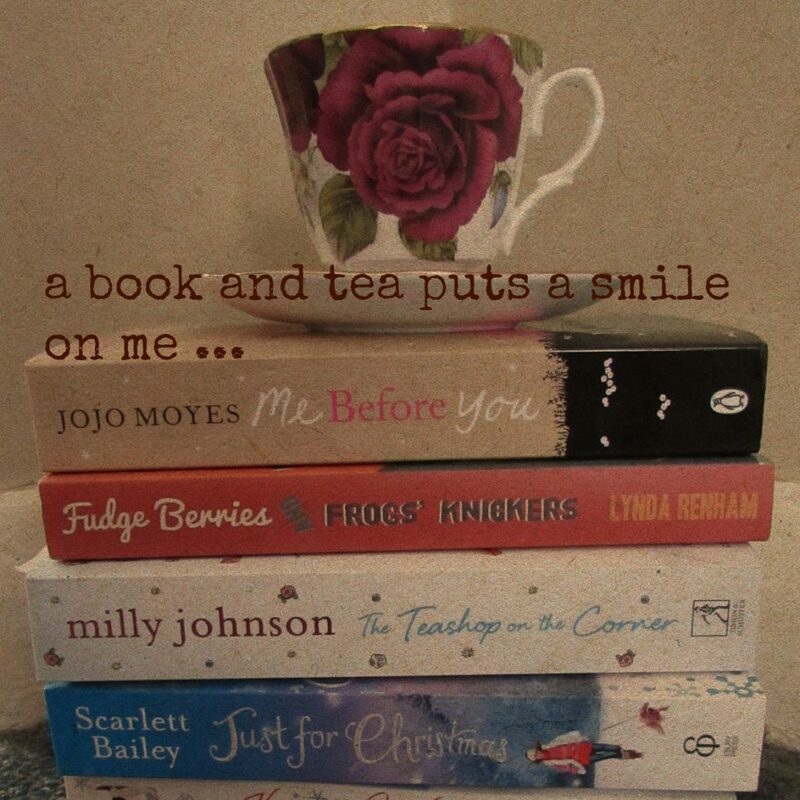 Jojo Moyes’ Me Before You had a profound effect on me when I read it a few months ago. Most recently I read a book my daughter gave me to take on holiday. It’s her childhood much read and cherished copy of Robinsheugh by Eileen Dunlop, set in Scotland in a semi-isolated house shrouded in mystery. I loved it! It was the outline of my next book that prompted her to lend it to me. If you were given an all expenses paid budget for your book launch what would be on your shopping list? Dinner with Eddie Redmayne on the set of Fantastic Beasts and Where to Find Them, complete with suitcase from which he would pull copy after copy of my book clutched in the paws of Holly’s dog, Tubs. Natalie, a born and bred Londoner, has a not-so-secret wish to live in the area she so enjoys writing about. While this isn’t practical at the moment she stills allows herself to dream of honey-coloured stone cottages, quaint villages and rippling brooks. Maybe one day. The Second Chance Café in Carlton Square written by Lilly Bartlett, publisher HarperImpulse is available in ebook format NOW. This was such a delight to read. The Second Chance Café in Carlton Square is book 2 in the Carlton Square series but can easily be read as a standalone, as proven by myself as of yet book 1, The Big Little Wedding on Carlton Square, is still waiting patiently on my kindle. Emma has had an awful lot of big events happen to her over the last two years; marriage, giving birth to twins and now she is planning to open up her own café. Emma is one ambitious lady but when she saw the empty pub on the square she just knew what to do with it. She also wanted the opportunity to open up doors for young, vulnerable people, give them a helping hand in life. A chance to show them a trade and teach them new skills to help them move on in life in the right direction. Interviewing candidates for her first two trainees was to prove an eye opening experience for Emma but she looked further from the first impressions and hoped her gut instincts were accurate. Renovating the property sounded like a lot of hard work especially with the young toddlers but her family were wonderful support to Emma. The big opening day of the café arrives and you can feel the nerves of anticipation from Emma. Will she have any customers, can they fathom out how to work the posh coffee machine? Of all the obstacles that have come Emma’s way in making the café a success she didn’t expect to be sabotaged by a rival café. Gathering evidence to prove this was difficult and the café looks doomed before it even gets properly started. Lilly Bartlett has created wonderful sub characters in this story with a wide array of colourful individuals which all work harmoniously, albeit with a few bumps, together. I’d love to read more on some of these characters and hope in future stories they may take centre stage. With her busy life as new mum, new business owner her own relationship was surely going to face a few challenges with Emma and her husband Daniel having to adjust to new routines. I loved the sound of this café and could imagine it with my own eyes with the author’s description. A wonderful community of old and young coming together over tea and cake. Sounds rather perfect to me! Delightful and entertaining radiating warmth and hopefulness. Lilly Bartlett’s cosy romcoms are full of warmth, quirky characters and guaranteed happily-ever-afters. Lilly is the pen-name of Sunday Times and USA Today best-selling author, Michele Gorman, who writes best friend-girl power comedies under her own name. The Bronte Book Club for Hopeless Romantics written and self-published by Laura Briggs is available in ebook format from today 21st June 2017. Quaint Lewis Cove is home to the charming three-story Victorian manor known as the Alice Wilshire Lending Library and its plucky librarian Peg Turner: the current hostess of the weekly Bronte Book Club, better known as the ‘Hopeless Romantics’ of all ages. Nurse Annette has been too busy working for love; mechanic Tim has missed the boat somewhere in his past; art student Sophie comes off as too unique, while tech geek C.J. has fallen—hopelessly—for the too-cool-to-care Llourdes. With her vacation plans indefinitely on hold for the summer, Peg has decided to transform the ‘Hopeless Romantics’ into hopeful ones. But while she’s trying to help her fellow readers find romance, she’s avoiding her matchmaker friend Caroline’s latest blind date—only to see her best friend Cam, the ruggedly-cute-but-sometimes-curmudgeonly coffee shop owner fixed up instead. And that’s something Peg isn’t sure she likes. Questions about love and last chances on her mind, and way too many books piled on her desk, will Peg succeed in finding romantic hope for anyone, including herself? I am so pleased to be involved in the Release Day Blitz celebrating the release of The Bronte Book Club for Hopeless Romantics. The novella is the first in a new series by Laura Briggs. Next to Stacy — and Cam — Caroline was my oldest friend in Lewis Cove. We had known each other in college; now she worked as a realtor with an office closer to the metropolis than town, and believed firmly that one’s social life should never slow down, no matter the time of day or the fatigue one might be feeling. “Just a cup of black coffee for me, and a low-cal snack,” she said to Cam. “What’s with the book?” Her gaze fell on the copy of Jane Eyre. “Was that tonight?” said Caroline. “Is that why you said ‘no’ to going out with Greg’s friend tonight?” Greg was Caroline’s current boyfriend — his friend was a blind date setup I had been stealthily avoiding for two weeks. “A date?” said Cam. “You’re dating again?” He looked at me. “Will you exchange mutual ideas with Greg’s friend next week?” she asked me. “Maybe,” I said. “I’ll call him. We’ll find an evening we’re both free.” From behind the counter, Cam coughed noisily. I wondered if he had tried a bite of the low-fat granola bars he kept on hand for calorie-conscious customers. Caroline leaned forward and lowered her voice. “Speaking of dating,” she said, “I have the perfect person for Cam.” She glanced to the side, making sure he was busy with a new customer. Did I mention Caroline is an obsessive matchmaker, too? The Thousand Tiny Miracles of Living Twice, written and self-published by Katarina West is available NOW in ebook format. The book is also included in the kindleunlimited scheme. I am so pleased to be involved in the blogtour celebrating and promoting the launch of Katarina West’s new book series Angel Aid with book 1 in the series out now titled; The Thousand Tiny Miracles of Living Twice. This was such an extraordinary read that has left me feeling quite inspired and hopeful. The story is unlike any other I’ve read, it’s about real life emotions mixed with fantasy, make believe, or is it? We meet Irene Nylander in Helsinki about to celebrate her 50th birthday. She is fed up with her existence, fed up of being ignored by her husband, fed up of having to forego her dreams. After being stood up in the restaurant by her best friend she makes a startling discovery that shocks her to her core. She dashes heartbroken and crushed from the restaurant and driving through a blur of tears she crashes her car. When she next awakes she is in surroundings unbeknown to her, the room exudes wealth and she soon realises she is on water and in a cabin of a wealthy yacht. She also realises to her alarm that her body is not the same. Many miles away we meet actress Mimi Kavanagh waking up in strange surroundings, a hospital none the less in a strange country due to the accents she is hearing. To her dismay her body has aged and doubled in weight. The two women from totally different backgrounds and lifestyles have woken from a trauma to find they have switched bodies. Millions of miles away in another world a mischievous Angel called Aaron is in shock, of all the pranks he’s done in his life this one of transferring human bodies is the most extreme. The Angel community and hierarchy are in uproar and Aaron is immediately shunned for his actions. His thought process behind was purely good and he only wanted to help. The story follows the journeys of Irene and Mimi confronting their new lives and of Aaron’s desperate attempt to make amends. I have to admit I loved the idea of this story but I did get slightly lost and confused with the hierarchy in the Angel Kingdom and all the different rules but saying this at the end of the story I felt inspired and eager to continue the story with part 2 of Angel Aid. The storyline is full of relatable characters with a Cinderella-esque tale; from rags to riches, from beauty to beast. The ladies facing the body switch were given a wonderful opportunity to reassess their lives and pick out the best from their body switch personas. It had gorgeous idyllic sunny settings and also awe inspiring Icelandic panorama. The author Katarina West interwoven the storyline with wonderful wit and humour spreading lots of warmth throughout. Romance blossomed and grew and hearts were once again filled with compassion. Yes this is an educational dream with a message. And the message is, it’s never too late to live again. To make your dreams come true. Englishwoman in Scotland written and self-published by Jenny O’Brien is available from Thursday 22nd June 2017 in ebook format. I absolutely adored Englishwoman in Scotland and I didn’t want it to end. I’ve previously enjoyed Jenny O’Brien’s previous ‘Englishwoman in’ stories but to me this is my favourite. I loved how both leading characters were born into wealth and aristocracy but they were both wanting to find their own ways in life;have an interest, have a career, make their own decisions. I particularly loved how the author set this storyline in a wonderful rugged location in Scotland and included some history to the tale with the leading man’s work taking him to the island of Belnahua. An island off the west coast of Scotland that once had a population of nearly 200 but has been left inhabited and desolate since WWI. This brought a different dimension to the story and you could feel a change in atmosphere when visiting the isle. I felt the hidden history around the island brought some clarity to the characters. We first meet Tansy (Lady Titania Nettlebridge) in her family home in London arguing with her parents who have apparently arranged a marriage for her, a fellow aristocrat whom she has only met the once years ago when she was a young girl. This arranged marriage has come to light due to recent media coverage of Tansy during one of her night outs with her fellow aristocratic friends. What Tansy thought was going to be a good night with friends turned into a disaster and she has been left shame faced and feeling betrayed by her ‘so called friends.’ Tansy decides to take matters in her own hands and applies for a job as a cook in a stately home in Scotland, which so happens to be the home of Viscount Hector (Tor) Brayely. She wants to find out what this groom-to-be is really like so going in disguise feels the best way to achieve this. Tansy is a highly skilled baker so she is qualified to do the job in hand but can she cope with the personality of the Viscount? Tor Brayely has had his fair share of heartache and since the death of his father he is willing to please his mother with this union. However, when he makes the journey to London to see this Lady he returns home to Scotland in a foul mood and finds a stranger in his kitchen. The story follows Tansy in her role as cook getting to know Tor and learning how to cope with life in the Hebrides. Personalities clash but a chemistry soon starts sparking between the pair. Can the simple beauty of the ruggedness of Scotland bring the pair together? Can Tansy keep her secret identity away from the Viscount? The wait is over … I’m pleased to reveal the covers of Vivian Conroy’s forthcoming books in her new 2 book series titled Cornish Castle Mystery. How gorgeous and colourful do the books look and that daschund is such a cutie 🙂 The books are published by HQ Digitial and Book 1 is out on the 7th July 2017 with Book 2 released shortly after on 30th August 2017. Welcome to Cornisea island and spend your summer holidays in a Cornish Castle. Guinevere and her trusted dog Dolly have arrived on Cornisea island in Cornwall for the summer. But what should be weeks of cataloguing books and sunny walks on the beach turns deadly when murder strikes! The first book in the Cornish Castle Mystery series with the second instalment RUBIES AMONG THE ROSES coming August 2017! Guinevere and her Dachshund Dolly are happily enjoying their summer by the Cornish coast – sun, sea and delicious food. Until a long-lost treasure and a mysterious death turns her holiday into a search for justice! The second book in the brand new Cornish Castle Mystery series, don’t miss DEATH PLAYS A PART – the first in this new cozy crime series.